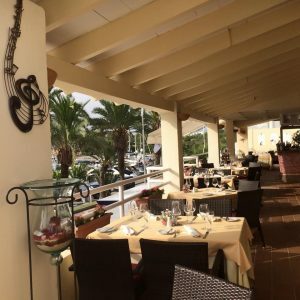 In 1996, in the maritime setting of Marina de Cala d ‘Or, was open La Scala Restaurant. It’s a different kind of italian restaurant, exclusive and innovative. Our italian cuisine, with top quality products, is constantly recreating itself guided by the hand of our master chef Antonio, who knows perfectly how to give it a new and special touch. Each one of our dishes is the result of a conscious and careful process; works of art to be enjoyed using all the senses. That’s why we also attend our client organizing special evenings with very pleasant Live Music on the warm summer nights, to enjoy a very nice atmosphere. Enjoy and relax yourself on our beautiful open-air terraces with breathtaking views of the Marina. La Scala team is made up of highly qualified personnel that ensure a well ordered kitchen and an efficient personal service.